Due to more regulation and increasing risk, the profile of a risk manager is changing. More than just defensive, a risk manager has to develop an active attitude on Risk. 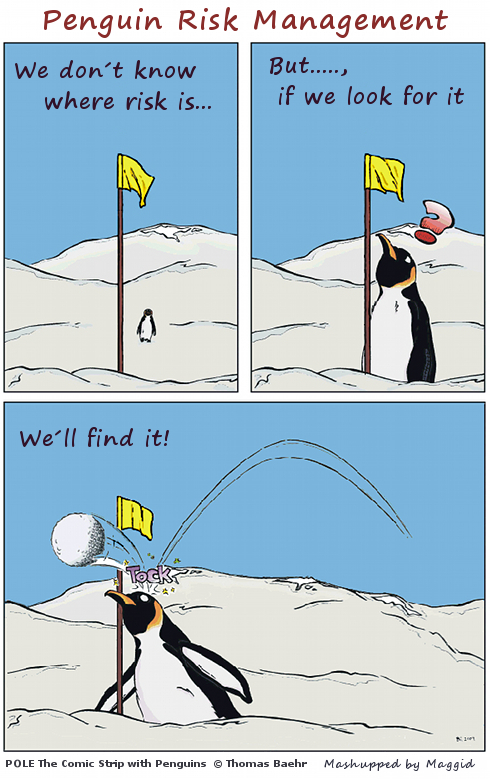 What Risk Management has to do with Penguins?